HOLLYHILLS IS THE INDUSTRY LEADER IN CONCEPT MASTER-PLANNING AND DEVELOPMENT FOR THE FUTURE REVITALIZATION AND PROSPERITY OF EMERGING COMMUNITIES. These are the words that best describe our approach as the nation's most future-focused land developer. At HollyHills, we don't play follow the leader - we are the leader. Our unique method distinguishes us from the rest . . . and allows us to offer development opportunities that are without peer. Simply put, we pioneer the field of trend analysis. For the past 30 years, our founder Daniel N. Bailey has been perfecting the art of identifying emerging markets before they become hot. To ensure that we have land to sell today where the market is going tomorrow, we strategically identify and purchase undeveloped land in areas which have great potential for hyper growth in a period of 12 to 24 months. Once we have acquired raw land in prime locations, our turn-key development approach can include management of the land entitlement process, surveys, architectural design to construction. Our willingness to act boldly in a strategic manner is the key to our success. Time and again, HollyHills has offered buyers and other developers the opportunity to reap the rewards of a market catching up to Daniel Bailey's vision. The HollyHills team is dedicated to bringing excellence to every facet of our business relationships. We believe that success happens when preparation and research meets opportunity, which is facilitated by our team of progressive-minded professionals with a diverse range of specialties and expertise. With offices located in Palm Springs California, HollyHills currently has strategically-planned projects under development. 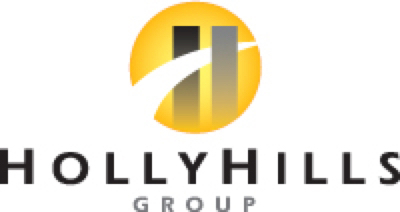 Sign up for email updates from HollyHills Group.